Every time I try to enter the Armax arena, the game crashes to desktop. I remove the mod and all is fine. The ONLY thing that I did not do prior was visit Aria in Purgatory...tho I did speak to her at Afterlife with the use of the Omega Hub mod (Part of the EGM series)...the lines of dialogue are exactly the same as if you were speaking to her at Purgatory tho...so I wouldn't think that would be causing the crash...I did receive her email inviting me to meet her at the arena. Edit later: Found the culprit. For some weird reason the BioD_CitSim_Loader.pcc file was displaying as only 1KB in size. Adding that file again from a copy of the zip file I had saved of the mod solved/fixed it....since it is supposed to be 16,324 KB's in size. Heya SirCxyrtyx. 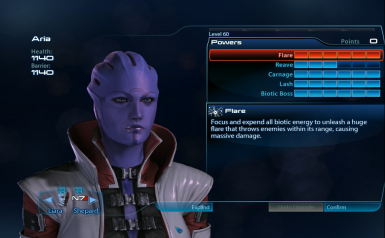 I've got your mod installed and I'm using the a lot installer to install HD textures along with the Asari textures from Asari Remastered by BlueJay9. I've run into a snag though. a lot fails to install and in the installer log itself, it singles out a .pcc from your mod as the source of the problem. Could you take a look at it and see what's up? Edit: I've spoken to CreeperLava on the a lot Discord and it turns out that the install fail is not caused by the Aria Arena mod. Is this mod compatible with CEM? Mostly. There are a few war-related signs in the Arena that CEM replaces that won't be replaced if you use this mod. Other than that, it should work fine. It is indeed compatible with CEM Full. 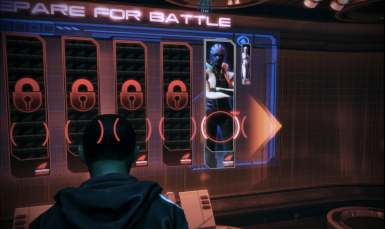 Just make sure you've done the Omega DLC and then spoken to Aria in Purgatory before you do Priority: Earth. Arggh!! Not fair. I have to download it before I can endorse it!! Awesome! 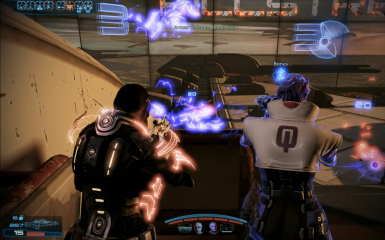 The arena is one of my favorite pastimes in Mass Effect 3, wish there where more mods to expand it. A thousand thanks from the bottom of my heart. 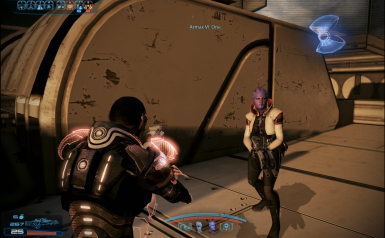 I always wondered why Aria wasn't an available squadmate for the arena. From a plot standpoint there's literally no reason for her not to be available (assuming Omega is completed beforehand). Thanks for this mod! I can't wait to try it in my next playthrough. cool mod ,thanks for releasing. i need help. all of the pictures for the combat simulator options are black. I have a lot installed. As per the discussion on the a lot Discord, new DLC mods cannot be installed after a lot has been installed. To install new DLC mods you will have to vanilla your game, install all non-texture mods, and then install a lot and any other texture mods. Love that you get to meet up first. Me too. 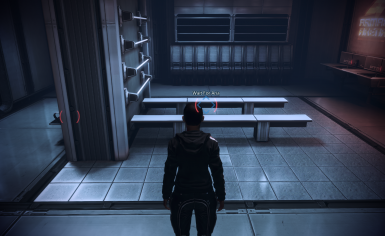 It adds Aria in a really immersive way. That's really awesome.